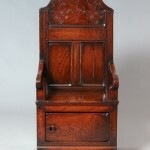 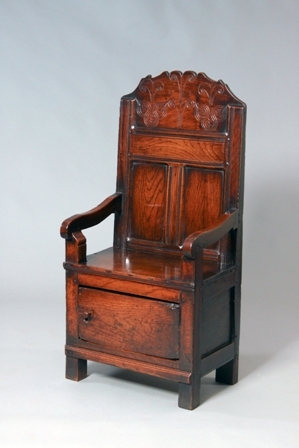 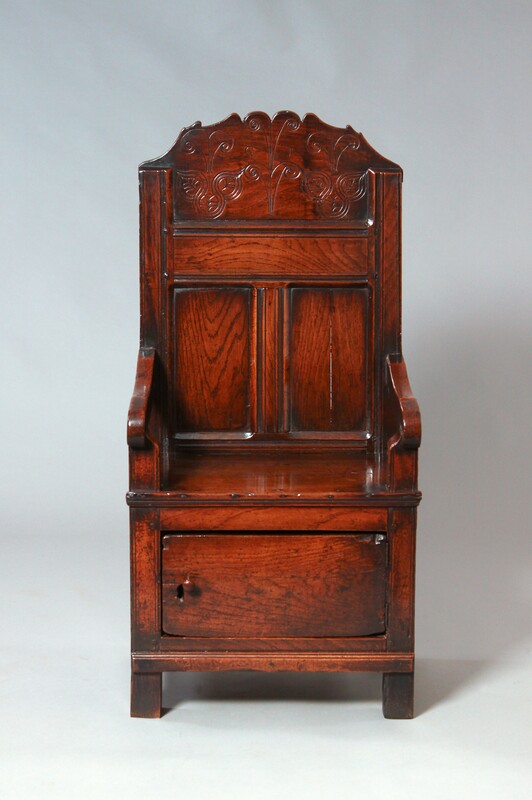 This is a wonderful Welsh chair, which is solidly constructed from well figured oak and with a glorious colour and patina. 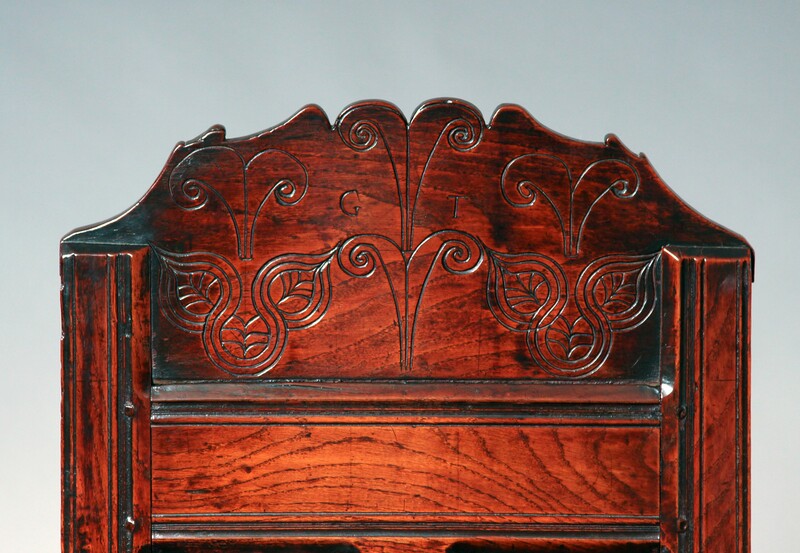 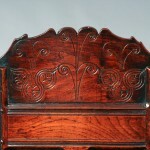 The strikingly shaped & carved top rail is also carved with the initials “G&T” which are possibly those of a previous owner. 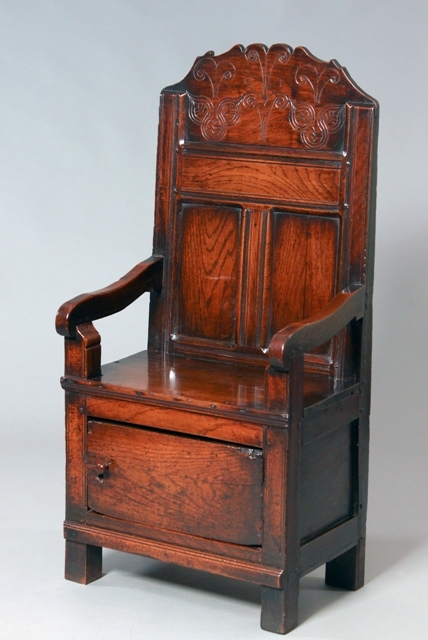 The base cupboard is very unusual, although Welsh chairs are found fitted with drawers, a cupboard is very rare.